Creating Your Magical Life is a 6-week course for divine dreamers. 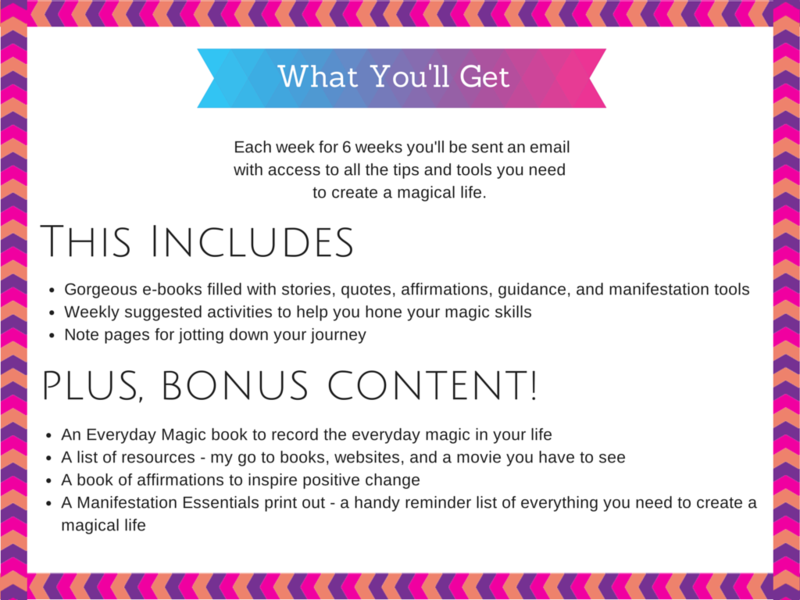 You'll learn how to make room for ma﻿gic, smas﻿h through negative self-talk, allow yourself to play, and create magical practices to help you live the life of your dreams. One of my favorite magical ladies, Laura Bushnell says magic is, "changing reality in accordance to comply with your will, your love and your imagination." And that's what Creating Your Magical Life is all about. It's about getting in touch with your highest self, your spirit, to create radical change in your life. It's about using intention to manifest your desires. If you're ready to shine your light, create positive change, expand your idea of reality, and learn who you truly are, this course is for you. Creating Your Magical Life will give you magical, but practical manifestation tools to help you turn your dreams into reality. This isn't just another Law of Attraction guide. This is deep, spiritual manifestation. You'll go beyond the basics, discover a new reality, and tap into your most powerful self. you feel like you're at the tip of a miracle, a magical moment, but you can't reach it. Get to know your highest self and what she needs in order to create true happiness. Have the passion to move forward in your life and the tools to take action. Know what reality really consists of and how to work with it to your benefit. Know exactly how to make room for miracles and magic. Know how to connect to positive energy and detach from negative energy. Have respect and gratitude for all that you already have. Be able to tap into your power through fun manifestation techniques. There's a whole unseen cosmic force swirling all around you. And this unseen force wants to help you. It wants to give you all the blessings your heart can handle and more! But you've gotta tap into it. You've gotta learn how to work with it. That means forgetting what you already know, including who you are and taking on a whole new reality. Let me show you how and you'll manifest fulfillment, joy, purpose, and abundance like you've never known before. "But how do you know?" you might be asking. I've used all the knowledge I've put in this e-course to manifest my dream life. It started with listening to my highest self and once I did, things shifted. I went from a bad breakup, hating myself, and working boring full-time jobs to meeting my husband, living on an island with an ocean view, and writing full-time. I incorporate daily things like movement, writing, meditation, and “magical” practices to create beauty in my life and you can too. This week's all about declaring your dreams, how spirit uses words to create, and how you can literally write your dreams into motion. You'll also learn techniques for using words to create miracles. This week you'll learn about one of the most important tools you have to help you manifest. Plus, you'll get hands-on creativity prompts and get to play with your inner child. This week you'll learn about what bold living means, how to create extraordinary experiences, and give yourself permission to really be yourself. 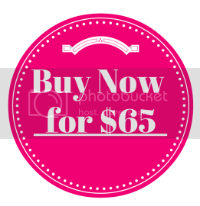 ​Click the big pink button to get started! Pop in your email for love letters, updates, and everyday magic.